Local cement producers, who have been speaking about the problems in the field, have decided to postpone their planned August 22 rally for a week, after they got a letter from the prime minister, asking for a week to study the issue. The companies say they use imported material - clinker for producing the cement, which has been stopped by the customs service for an unlimited period. “Due to the absence of the material, most of the factories have suspended their work. 2-3 factories have very little supply, after which they will also stop operating. This means that around 700 people, employed in our factories will lose jobs,” the statement of the cement producers reads. They say the procedure of clinker check takes at least 28 days, which is a long time and results into additional taxes and sanctions for the local entrepreneurs, who import the material. 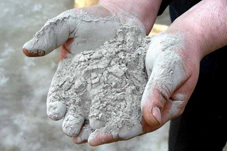 Local producers of cement think that company Heidelbergcement, which has its material, wants the government to prohibit the import of raw materials, and that way stay on the market as an only local producer. The solution that local producers of cement see is to increase taxes on imported cement. “Heidelbergcement cannot produce high-quality clinker, and usually it is so expensive that it makes no sense to buy it and produce cement…Giant HeidelbergCement controls over 80% of the market. It is a monopolist and should be subject to monopoly regulations,” the small factories say. The producers say the market needs timely and clear solutions and regulations, which will be applied to every factory, regardless of its size or market share. -	Clinker clearance must be made from invoice directly. This will result in a reduced cost of the final product. “This way we will protect the market and maintain local production,” the cement producers said.